Attention deficit hyperactivity disorder (ADHD) is a neurodevelopmental disorder characterized by hyperactivity, impulsivity and difficulties with focus or attention. Although many people may have these traits to some degree, in order to diagnose ADHD a child (or adult) should have symptoms severe enough to cause an impact in two separate areas of life. For children this is usually home and school; for adults it’s home and work. There is a subtype of ADHD called Inattentive subtype (sometimes known as ADD) that is not associated with hyperactivity and impulsivity, in which a child has great difficulty focusing and paying attention, but without the common behavioral symptoms of hyperactive children. From being a relatively rare syndrome affecting less than 3 percent of the population in the 1970s, the prevalence of ADHD has risen dramatically since then, especially over the past 25 years. The CDC reported in 2011 that roughly 11 percent of children in the U.S. have been diagnosed with ADHD, representing around 6.4 million children. And, about 6.1 percent of American children are taking a psychostimulant medication like Ritalin for the problem. This makes it one of the most common chronic diseases in childhood, even more prevalent than asthma. 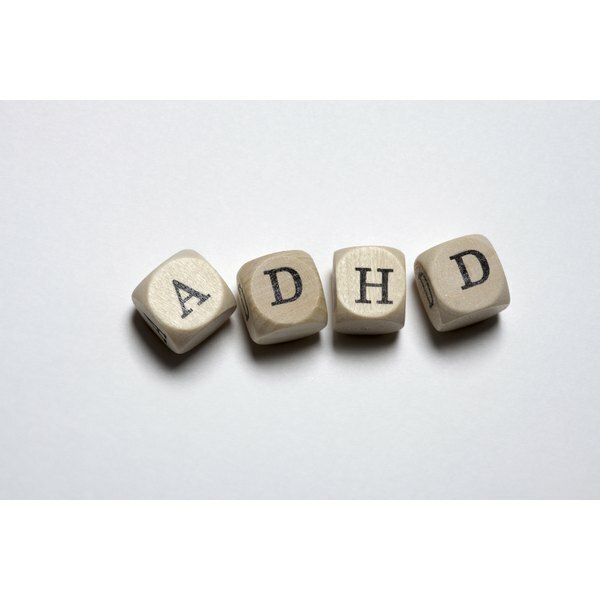 Recently, there has also been a dramatic rise in the diagnosis of ADHD in adults. There is great controversy about whether this striking rise in diagnosis represents a real increase in the number of children who have this syndrome or if we are simply using it as a convenient label for children who do not behave as we expect or who have a hard time coping with the tremendous demands being placed on them. Some even raise doubts as to the very existence of ADHD. Once given this diagnosis, the majority of children will be treated with long-term psychostimulant medication, as is recommended by the American Academy of Pediatrics and other advisory bodies. We will look more carefully at how ADHD is diagnosed in the following section, but to anyone caring for these children, there is no doubt that ADHD actually exists and that it can be a debilitating condition. Children with severe ADHD may be unable to focus enough to learn and keep up at school, be so hyperactive and impulsive as to be in constant trouble at home and at school, and be unable to maintain friendships. This can lead to failure in many aspects of life and significant problems with self-esteem. In these children the problem must be diagnosed and treated carefully and effectively. On the other hand, ADHD can be seriously over- diagnosed. In one study, it was found that children born in August were more than twice as likely to be diagnosed with ADHD and treated with psychostimulants as those born in September. Why would this be? Because with a school cut-off date of September 1, those born in August would be the youngest in their class, compared to those born in September, who would be the oldest. Since there is no rational reason why the syndrome should be more prevalent in those born in August, we are clearly misdiagnosing and treating many children who are on the young side for their grade, therefore the child is simply immature relative to their classmates. It is also important to remember that ADHD is a syndrome that must be seen in “context.” One teacher may see a child’s behavior as a major problem, whereas another teacher may see the exact same behavior as a mild problem. This is especially common among less severe cases, which are the majority of cases now being diagnosed. For an accurate diagnosis, symptoms must cause impairments in more than one setting (such as in multiple classrooms, or both the classroom and the home), as well as among multiple supervising adults. The remaining sections will attempt to cut through the controversies and myths about ADHD and its treatment that exist not only in the public and on the Internet, but even among many professionals, and to clearly state what we know and do not actually know about this often-misunderstood syndrome. The Importance of Relative Standards in ADHD Diagnoses: evidence based on exact birth dates. Sanford Newmark, M.D. specializes in the integrative treatment of autism and ADHD. He has lectured widely on both autism and ADHD and published the book "ADHD Without Drugs, a Guide to the Natural Care of Children with ADHD." His UCTV talk on ADHD has had more than 3.6 million downloads.